U.S. forces in Afghanistan have dropped more munitions in the first three months of this year than during the same time period in 2011 — a time widely considered the height of the war there. The spike in bombing comes after years of drawing down U.S. troops across the country’s remote villages — and looks like it relies increasingly on an intelligence network grounded in technical capabilities rather than human interactions. Numbers released by U.S. Air Forces Central Command document 1,186 munitions expended by aircraft in January, February and March this year. In 2011, during those same months, the military documented 1,083 weapons released. Those weapons releases include both manned and unmanned aircraft. 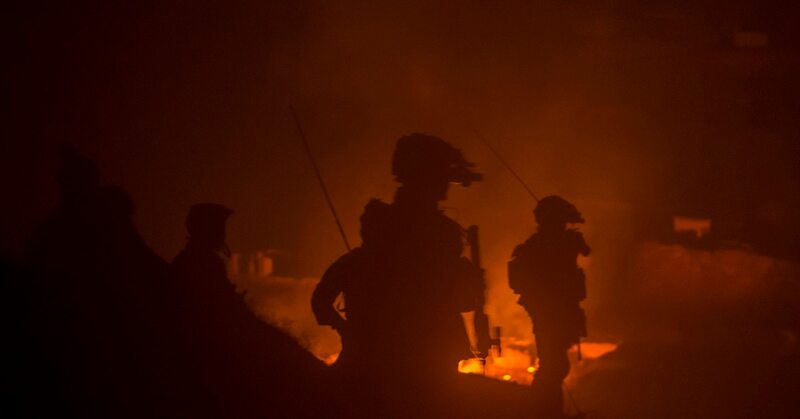 The Pentagon has said the increase in kinetic air operations is part of a scheme to degrade the Taliban’s finances by targeting drug labs, which the insurgents are known to tax. This drug lab bombing campaign has been touted by military leadership as a new, innovative approach to defeating the Taliban. But that’s not the only difference between the old war and the new. During 2011, the number of U.S. troops in-country hovered just below 100,000. As of September 2017, that number was reportedly around 15,000. With more than six times the number of troops at the height of the war, airstrikes conducted were frequently close-air support missions, called in by U.S. forces as they wandered into nests of enemy fighters. Today, though, the targets of airstrikes look largely pre-planned. “The increased airpower supports a deliberate air campaign designed to degrade the Taliban’s primary means of funding its operations — narcotic production,” Air Force Capt. AnnMarie Annicelli, spokeswoman for Air Forces Central Command, told Military Times. 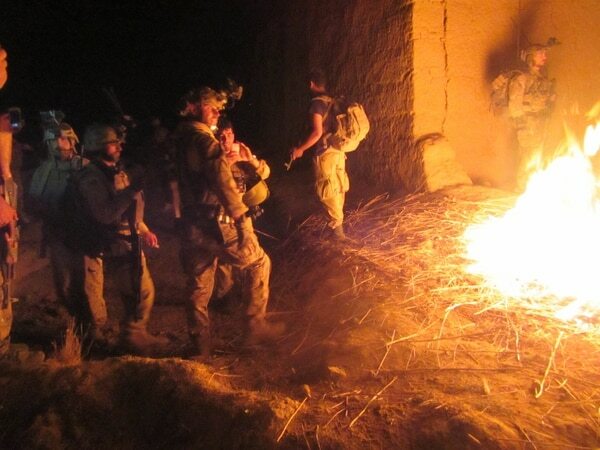 Some missions against drug labs are conducted by teams of Afghan and U.S. special operations forces carrying out raids. These ground-based attacks sometimes bring back pictures and reports that help illuminate the narcotics business. To date, these efforts combined have deprived the Taliban of an estimated $220 million in revenue, according to Army Col. Lisa Garcia, a spokeswoman for U.S. forces in Afghanistan. However, some experts express serious doubts about those numbers. David Mansfield, a senior fellow at the London School of Economics, has researched opium production in Afghanistan for the past 20 growing seasons. 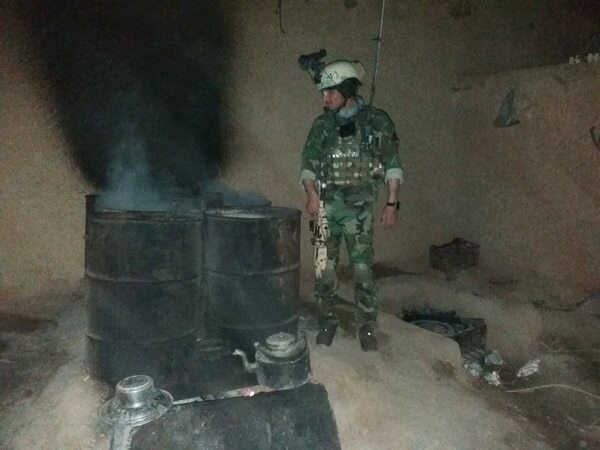 In a January report for the LSE’s International Drug Policy Unit, he questioned the high tax rate U.S. officials claim the Taliban apply to drug labs, as well as the total value of the drugs said to be destroyed. Mansfield also expressed concern that ground-based intelligence gathering and post-impact reporting after airstrikes was poorly done, based on a Nov. 19 airstrike in Musa Qala in Helmand province. His research determined that three of the six buildings struck that night were not actually drug labs. One building was frequently used by local Taliban, while the other two were owned by an opium trader known as Hajji Habibullah. Mansfield’s research underscores concerns that without the same amount of troops on the ground as in past years, the intelligence gathering for airstrikes may be inadequate. It’s not entirely clear how U.S. forces are gathering the intelligence necessary to conduct strikes effectively, given the roughly 85 percent reduction of troops since 2011. David Shedd, former acting director of the Defense Intelligence Agency, said that the “technical intelligence is as good as it’s ever been,” but human intelligence gathering has likely receded alongside the footprint of U.S. forces. For technical intelligence, Shedd pointed to the greater capabilities of aircraft sensors downrange to scour targets, as well as the monitoring of radio frequencies and other, more complex signals and imagery collection. Before the drawdown, troops working remote village stability operations would constantly collect information to pass up the collection chain, where it was sussed through and fused together within a broader network of technical and ground-based data. National intelligence agencies rarely have the granularity of intelligence gathering that a ground force could provide after “literally going around the mountain, and over the hill to conduct a battle damage assessment or pre-strike [report],” Shedd said. In an era with a much smaller forward-deployed presence, it remains unclear if the replacement of human intelligence-gathering with technical collection will always suffice. Citing operational security concerns, Garcia, the U.S. forces spokeswoman, said she couldn’t provide information on how exactly they are currently sourcing their intelligence. Additionally, “we cannot provide any further information about whether or not coalition advisers or Afghan [tactical air coordinators] were on the ground for specific strikes,” Garcia said, referencing the teams of operators who could provide ground-based intelligence and targeting information prior to an airstrike.